While we're still working hard on a wireless version of HTC Vive, Valve keeps exciting us with news like this! Yesterday, at "Steam Dev Days", the company showed a few images of a new, more intuitive controller prototype. 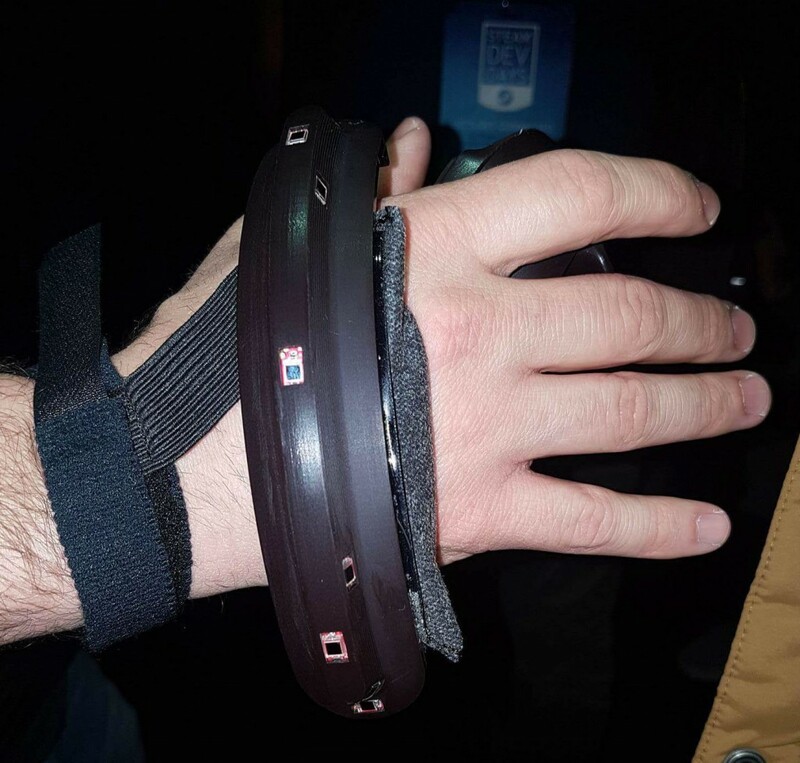 The yet unnamed new product is smaller and apparently wraps around the hand, almost like a glove, and has an outer ring covered in tracking sensors. This way the user would be able to completely open and close their hand (without the controller falling) for a more realistic grasping sensation – no buttons required! This would, for example, allow you to "drop" virtual objects just like you would in real life. Sensing finger positions is also mentioned as an improvement in the new prototype. This sounds great and makes a lot of sense ergonomically speaking, having in mind that your fingers are quite busy now with the current controllers, where you have to use them for pushing buttons with which you can grab things in the virtual space. It is also an important feature of the forthcoming Oculus Touch controllers. The improvements to grasping and gripping objects in virtual reality is a huge step forward for Valve and VR as a whole, as it will help pave the way to a much more immersive experience.